We all remember the first day of school. Your stomach was filled with butterflies. You didn’t know what to do, where to go or who to talk to. Everyone has been through this day. We have all experienced these feelings throughout our lives as we enrolled at a new school, moved to a new city or started a new job. And because we have all been there, the Springmoor Welcome Committee springs into action as soon as you arrive to help guide you through the first day jitters. The Welcome Committee is a wonderful group of resident volunteers that know their way around Springmoor. They can help answer questions and point you in the right direction. With a large campus, there are lots of volunteers ready to help. 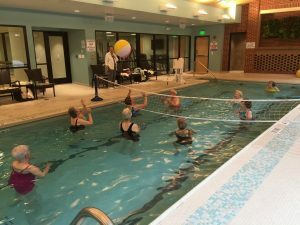 Led by North Village Chair Sue Pauli and South Village Chair Goldie Campbell, the group plans ways to help new residents get involved and meet new friends. A week or two before your move-in, you will go through an orientation with a member of the marketing team. The spiral bound newcomer’s book is great to browse through for answering questions and reminding you of who’s who and what time places are open. The Welcome Committee has designed a few additional small handouts that can help answer quick questions after you arrive. A small card that can be stuck in your pocket will give you instructions for take-out meals and dining hours. A second card gives you a member’s name on the committee to call for questions. The Garden Grill or Bistro menu is added so that you have a chance to look over the options before you arrive to place your order. The first day is usually filled with tons of boxes and lots of extra hands. Family members are here to help unpack. The moving crew is putting your furniture back together. A new face or two will appear at your door to welcome you to Springmoor. The Welcome Committee will stop by, maybe only for a minute, just to say hello. 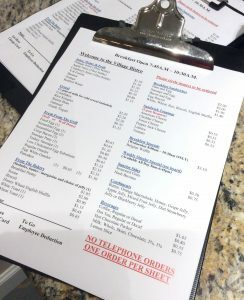 They will give you directions on where to eat and what time the dining rooms are open. They can answer any move-in day questions and help find your storage unit. Day two may still be a whirlwind as you search for items in new drawers and cabinets. Peg Bedini, the Residents’ Association President, and Sue will call or drop by to say hello. They will invite you to join them for dinner, usually on a Wednesday night, with other new residents or simply by yourself. They both find that one-on-one time can be helpful in getting to know you and answering your personal questions. During your conversations, they begin to think about other residents that have similar interests that you would enjoy meeting. Are you creative? 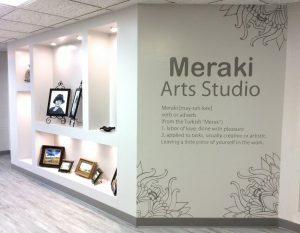 Would you enjoy the new Meraki Arts Studio? Would you prefer putting on the Springmoor Green? Is fitness more your style? Are you familiar with Raleigh and the North Carolina Symphony? All these questions help guide them towards other residents to call for the next lunch or dinner get-together. Each part of the community has committee members. If you are living at the end of the cul-de-sac filled with houses, you will have neighbors on the committee that can help answer things about recycling day or trash pick-up. If you are in South Village, the members can help with directions to the movie theatre or provide a Wellness Center list of exercise classes. The North Village committee members will certainly help with directions and elevators. 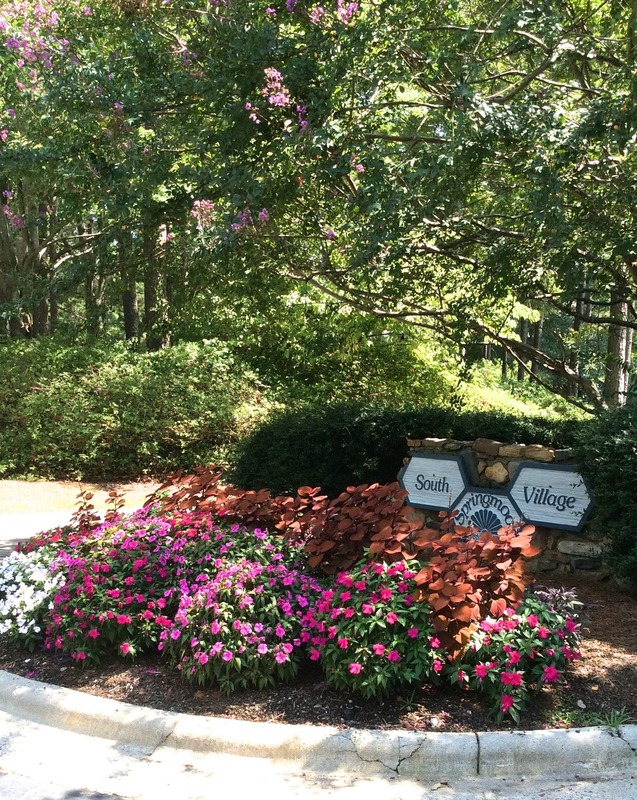 Springmoor’s lush landscaping is a result of building into the natural grading of the land. Elevators from one building do not always connect you to the floor you are trying to find. 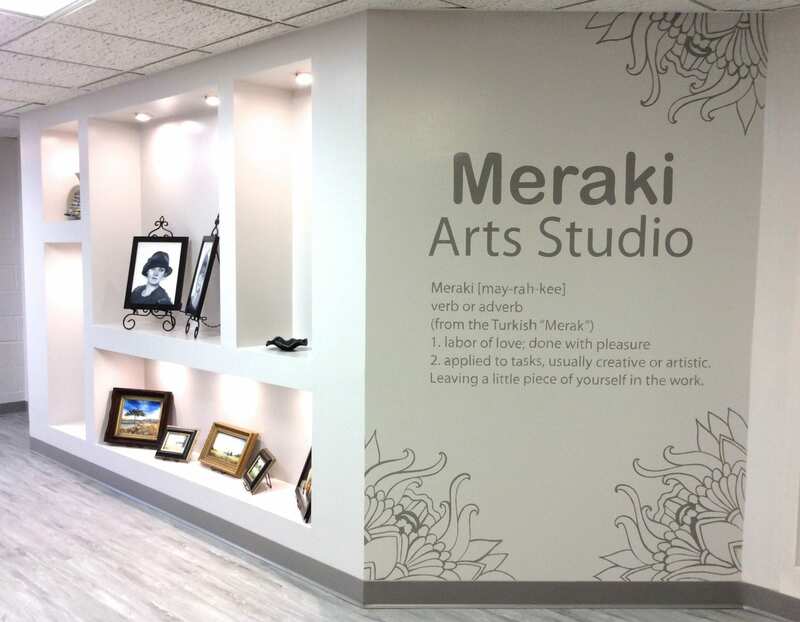 The Welcome Committee will walk you through the buildings and familiarize you with each floor and set of elevators. They will take you to the Stewart Health Center Clinic to introduce you to the medical staff. Meeting them before you need them makes it so much easier for everyone. There will be neighbors that drop by throughout the first week with homemade muffins, cookies or cheese straws. They have all been in your first-day, first-week shoes and know that having a friend makes everything easier in a new environment. There is a Residents’ Association meeting once a month (with the exception of July, August and December). It is part business, part social and always features a wonderful guest speaker. Peg will call to be sure that you know about the meeting and how to find the auditorium. She will introduce you to everyone and officially welcome you to Springmoor. Next on your list should be finding a spot for your talents. Would you like to help in the library? Do you want to serve on the building and grounds committee? 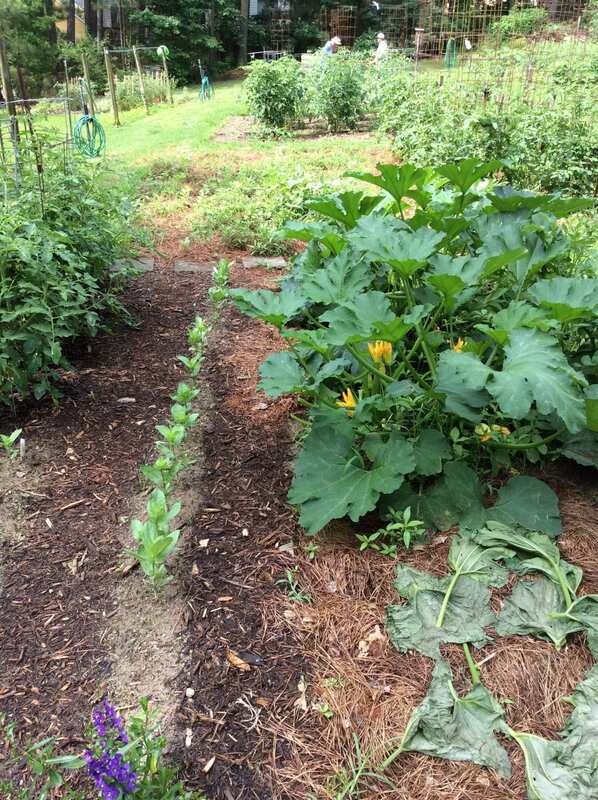 Is gardening your favorite activity? Would you like to take a shift in the convenience store? Would you like to welcome the newest neighbors to the community? The best way to meet new friends and find out about what’s happening is to volunteer! 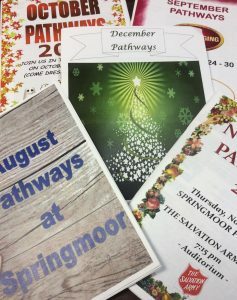 Keep your monthly Pathways activity guide by your calendar and look at it everyday. When the guide arrives, quickly call the activities hotline. You can leave your name and a list all of the month’s activities that you are interested in that require a reservation. Find a way to get involved. You will quickly become a part of the family that calls itself Springmoor. It’s a smooth transition with a team of welcoming residents that have made this community home! 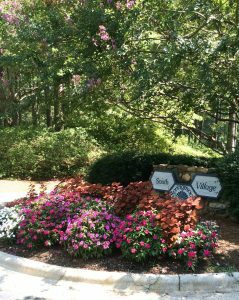 If you would like to schedule a tour, ask a few questions, or meet a few Springmoor residents, we invite you to call us at 919-234-7626. We look forward to showing you everything that Springmoor has to offer.